I’m not talking about the sugary concoctions they sell at Starbucks. I drink those when I’m in the mood for a milkshake. I’m talking about dark, rich drip coffee with a little Splenda and some cream. I know talking about coffee on the internet is about as original as talking about bacon. But coffee is very important to me. I have a regular drip coffee pot and a Keurig. And my Keurig is always on the “travel mug” size setting. One morning, I put my travel mug on the top of my car as I was loading it for work, forgot it was there, and backed out the car. The coffee toppled off, the mug broke, and my precious coffee spilled all over the parking lot. It was a sad day, because not having my coffee in the morning just throws the whole day off. If you’re reading this, I’m sure you can relate. I think there is a distinct difference in people who drink coffee for the caffeine effects and those who drink it for the pleasure it brings. The ones who drink just for the caffeine always carry around their coffee cup, always have a pot either brewing or being kept warm, and have to spend a large fraction of their day in the restroom. 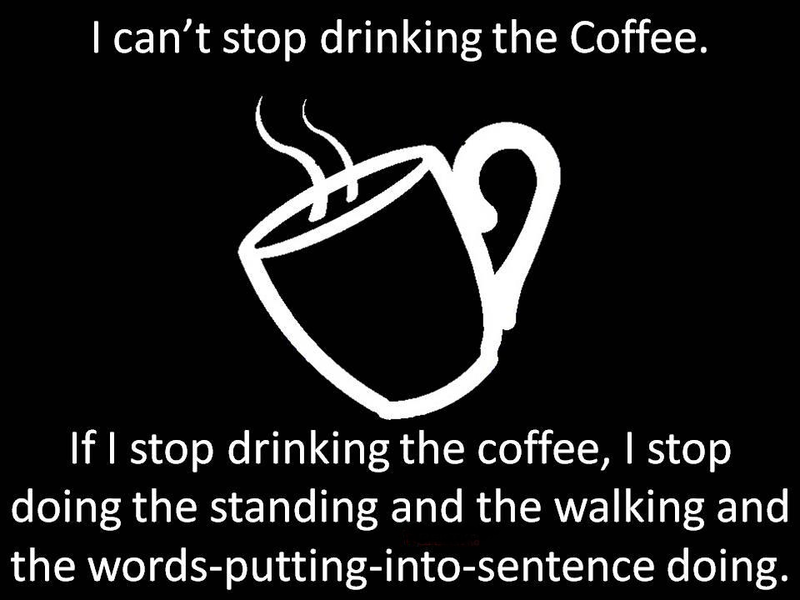 Because let’s face it – coffee goes through most people like a laser beam. Those who drink coffee for pleasure take their time on one cup, but not so long that it gets cold. I think this is where most moms would be if they could only stop getting distracted and having to rewarm the same cup eight times. Pleasure drinkers appreciate the feel of the warm mug, the smell of the beverage, and the joy of the first sip. The caffeine effects are secondary. I like to think I’m in this group, but sometimes the caffeine is more important. There is also a secret third group of coffee drinkers – the fakers. These folks might even drink coffee everyday, and they talk about it all the time. But they don’t really like coffee. You can tell because they add so much cream and sugar that they really have more additives than coffee itself. These are also the ones who buy the Starbucks concoctions that really have little more than coffee flavoring when you get down to it, and that’s how they “take their coffee”. Coffee drinking is trendy, so they do it. Do you identify with one of the groups? Ponder that while I get another cup. Today is a caffeine day for me. ← My Mom + Smartphone = Hilarity! First of all, take it easy on bacon. We talk about because we love it. :)Secondly, as my girlfriend runs a coffee shop and roasting company, I have been schooled in what real coffee should taste like. I will admit, when I was younger, I would go to Starbuck's, but I never knew how good coffee is supposed to taste. You SHOULD be able to taste that smoky, chocolatey, dark pure flavor without covering it up with syrups, whipped cream, and some kind of powdery flavoring. Unfortunately, once you take those things away, Starbuck's coffee is nothing more than overproduced, burned, crap. People who like Starbuck's don't know what real coffee is. It's like people who prefer McDonald's burgers over actual meat.Anyway, let me know if you want some Hawaiian coffee. It will make all other coffee seem weak! I totally identify!! I Love Starbucks daily! I also LOVE coffee with cream and sugar (that's how my Daddy taught me) brings back great memories….It's like a scrumptious dessert…….I love the warmth of the cup or the chill of the cup, if I'm drinking my mocha. The aroma is delicious, delightful and simply wonderful! I am the Coffee Monster……Meeee Love Coffee! !